DDS Rescue was developed a few years ago as an outgrowth of our local IT work here in Southern California. We continually ran into issues with our customers (all dental offices) having backups that failed or were blank. In every case the type of backup we found being employed was a traditional backup, the most common being removable hard drives that are taken home nightly. The problem is that most traditional backups have proven to be greatly unreliable, are seldom if ever validated to ensure that the data is usable and, unless they are encrypted at a high level, they do not meet present government regulations. Our challenge was to design an alternative to traditional backups that will eliminate the problems that our local customers faced. The answer was and is a true business continuity system. Let me be clear, we did not design the first business continuity system as they have been around for some time. In fact, every company that I have been involved with in my long career in the dental industry has had business continuity systems to ensure that the network would stay up and running without interruption. The real challenge was to design a system that was sized to match the quantity of data being stored on the average dental server. Prior to this, the only solutions available were designed for companies much larger, by ten to twenty times, than the typical dental office. So what is business continuity and why should you care? Business Continuity Systems are loosely defined as a system that is intended to ensure that an organization’s critical business functions will either continue to operate despite serious incidents or disasters that might otherwise have interrupted them, or will be recovered to an operational state within a reasonably short period. When it comes to our world of dental, this simply means a system that will keep your network running when your server can’t. Unlike traditional backups, a true business continuity system provides a number of important and needed functions. It takes copies of your entire server, not just a few files, multiple times a day, usually once an hour. It validates the quality of the backup daily to ensure that when needed a copy of your complete server is there to run your practice. It encrypts the copy of the server (AES 256 bit or higher) and sends it to one or more certified data storage centers (the cloud). It monitors the system 24 hours a day, 7 days a week and reports any findings that are out of norm with the system and/or the office server. It provides failover service so that when the office server is unable to run the network the business continuity system steps in to run the network in a matter of minutes. Keep in mind that the average down time from a server failure is between three and seven business days. As the average dental office becomes more and more involved with digital technology, the need for proper systems that help to manage and protect your data has become critical. As a result of the ever-growing digital environment, the need for a true Business Continuity System has emerged. Thanks for leaving a comment. 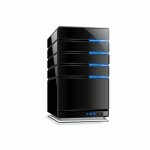 The cost of the system depends on the amount of data on your office server. This is easily determined by an assessment of your system. This assessment is sponsored by Patterson and as a result is no-charge to you. If you are interested please let myself our your Patterson sales representative know that you would like to have this free to you assessment. Pingback: Is Your Office a Target for a Cyber Attack?